I was always looking forward to Spider-Man: Homecoming, but I wasn't prepared for just how much I was going to like it. It took everything great about the character's introduction in Captain America: Civil War, and expanded upon it. It was our first true high school-aged Spider-Man, and Tom Holland captured the character perfectly. All in all, Homecoming was a great film, and it got me really on board with the Marvel Cinematic Universe's Spider-Man. Holland popped up again in Avengers: Infinity War (read our review here), and he was one of the film's stand-out characters. He had some of the best lines, as well as some of the best action sequences. But now, in terms of Spider-Man's future, all eyes are on the Homecoming sequel. It comes out just a couple months after Avengers 4, and is said to take place just minutes after that film concludes. What Marvel has in store for Spider-Man after the events of Infinity War is not clear, but we do know the character has a future in the MCU. But now we may have an idea of where Spider-Man: Homecoming 2 (in lieu of a proper sequel title) may be heading. It is being reported that Jake Gyllenhaal is in talks to play the villain Mysterio in the 2019 sequel. First of all, Jake Gyllenhaal joining any movie in general is a win for film fans. He is one of the greatest actors working today, and has built an immensely impressive filmography over the years. Second, Jake Gyllenhaal joining any comic book movie is breathtaking news. And, third, Jake Gyllenhaal playing a villain in the MCU is certainly applause-worthy. With that being said, if you were to ask me which Spider-Man villain I would choose for Gyllenhaal to play, Mysterio would not have been my first choice. 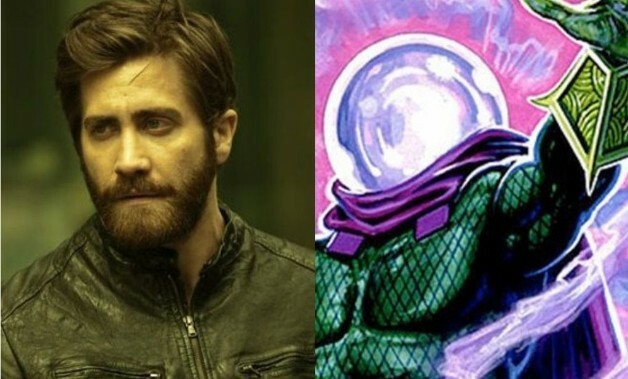 I love the comic book character of Mysterio, and I obviously love Jake Gyllenhaal, but I would not immediately put the two together. But that doesn't really matter. What matters is if Gyllenhaal is right for the Mysterio that the screenwriters have written. Knowing Gyllenhaal, I am sure he will give an incredible performance as the character. I also find it really interesting that they are using Mysterio as the villain for the sequel. He's a fascinating character, and one that can be very visually compelling on screen. He doesn't have that much depth as a character, but that doesn't mean the writers can't give him depth. Mysterio will pose an interesting challenge for Spider-Man, and it's fantastic that Jake Gyllenhaal will most likely be playing him. What do you think? Are you happy to hear that Jake Gyllenhaal will probably be playing Mysterio in the Spider-Man: Homecoming sequel? 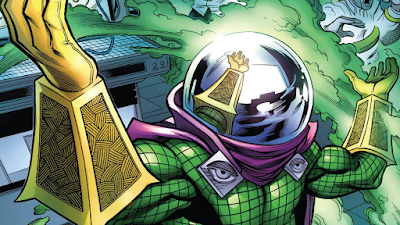 Is Mysterio the right villain for the sequel? Leave your thoughts in the comments section below.